Across the street from Reffkin Tennis Center – walking distance! Our newly renovated guestrooms feature “Sweet Dreams” beds and radios with MP3 hook-up. The hotel features an outdoor swimming pool, hot tub, three (3) tennis courts, state-of-the-art Precor fitness center and business center. Enjoy dining at our award winning Cactus Rose Steakhouse, venture over to the Javelina Cantina for our famous fajitas. Discover balance of Mind, Body, and Spirit in our Peaceful Spirit Massage Center, featuring a variety of massage services. Wi-fi internet available. Directly across the street from the hotel is Reid Park, featuring Reffkin Tennis Center with 25 lighted tennis courts, two 18-hole championship golf courses and a 3 mile jogging track. 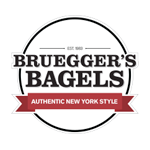 Brugger’s Bagels are genuine, New York-style, water bagels. No fakes. No phonies. We make them the way they were meant to be baked. We start with the purest, highest quality ingredients: high protein, unbleached, wheat flour, fresh (never powdered) yeast, malt syrup, water and salt. Some other bagels have preservatives or oils added. Not Bruegger’s Bagels. Some other bagel joints steam their bagels. Some freeze theirs for ease in transportation. Not Bruegger’s. We make only authentic, old-fashioned, kettle boiled bagels in each of our bagel bakeries every day in small batches all day long. Bruegger’s also features fine coffees, juices, breakfast sandwiches, and deli-style sandwiches. Hampton Inn & Suites is located in the heart of Tucson’s desirable east side within walking distance to restaurants, entertainment, and shopping including; Park Place Mall with Century Theaters, Mimi’s Café, Texas Road House (Guests receive a 10% discount), Sweet Tomatoes and Denny’s restaurant open 24/7. Our location is convenient to attractions in and around Tucson including the Reffkin Tennis Center only 3.2 mi. away! $79 for standard king or double queens and $84 for Single King Suites over the summer thru Aug. 31st. Rates Sept. thru Dec 31st $84 for standards and $89 for Suites . SPECIAL DEAL: 1 complimentary suite for every 8 rooms booked! BOOKING INSTRUCTIONS: Just go to the hotel website and enter the Reffkin Corporate ID#0002763162 or call the hotel directly and ask for the Reffkin Rate, or contact Scott Holly directly to make reservations or book groups.